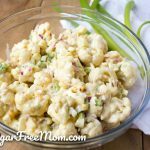 This Mock Potato Salad is Low Carb Made with Cauliflower and with a Tasty Dressing that is as close to traditional potato salad as you can get! 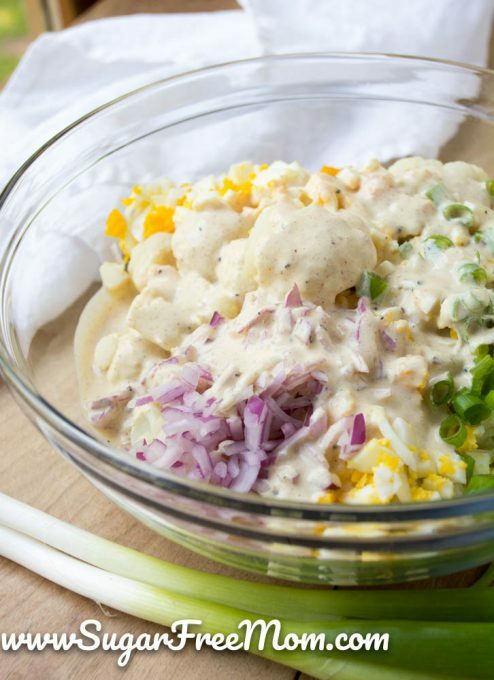 While cauliflower might not be your first choice when you think of potato salad, in the low carb world, cauliflower is the veggie most likely to replace potato. 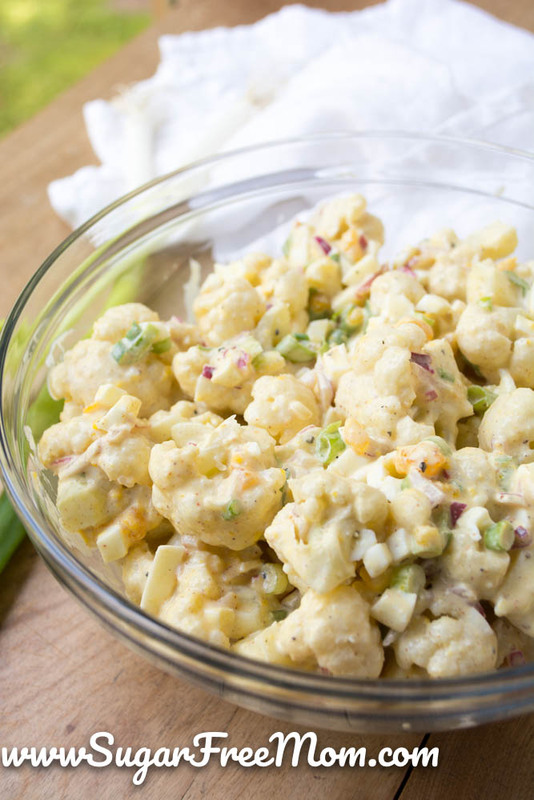 The texture and bite of tender cauliflower can resemble the texture and bite of potato salad, although the taste is obviously not the same. 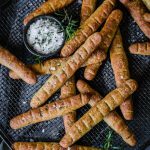 The end result though can make a traditional high carb recipe, much lower in carbs and just as satisfying. Should you expect it to taste like potato? Absolutely not. 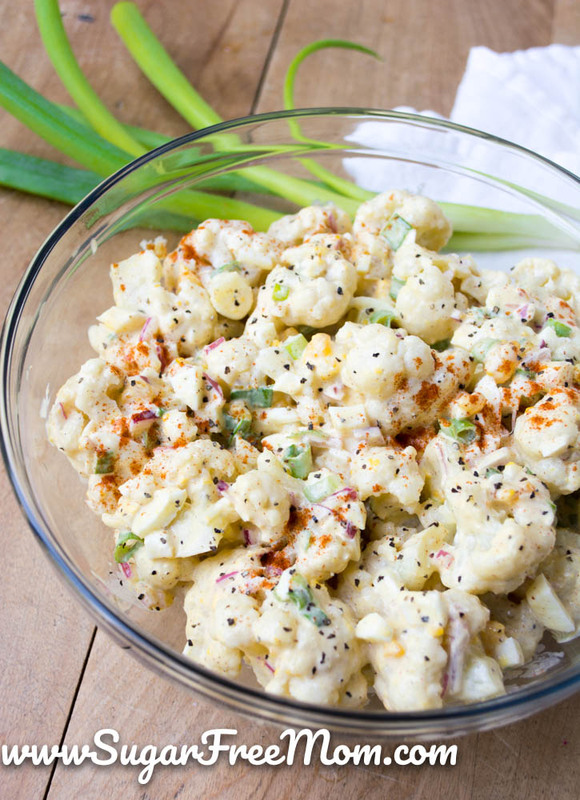 It is cauliflower but the dressing will bring you back to the potato salad you might have enjoyed prior to going low carb. 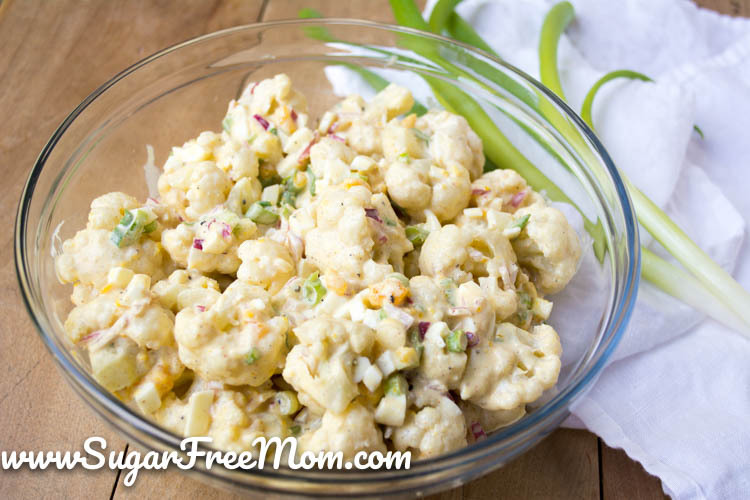 I use cauliflower in many recipes and often disguise it as my kids will not eat it as is. 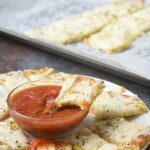 This recipe wasn’t made for my kids, it was for me, the hubby and some friends we were having over. 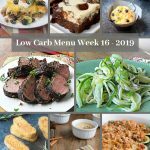 I’ve got plenty of disguised cauli recipes my kids had no clue they were eating a veggie, like in my Bacon Cheeseburger Cauliflower Casserole, Chicken Enchilada Cauli Casserole and Loaded Mashed Cheesy Cauliflower. 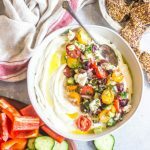 My friends loved the flavor of this salad and felt it was every bit as good as a typical potato salad. 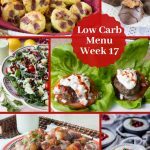 My hubby liked it although he isn’t low carb so of course he’d just prefer potato salad! 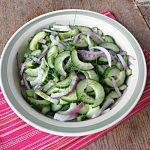 It’s an awesome make ahead side dish and perfect to take to a BBQ. If you need a entree idea, my Crock Pot BBQ Pulled Chicken is a great crowd pleaser and pairing with this dish. Feel free to sub yogurt instead of mayo if you prefer. 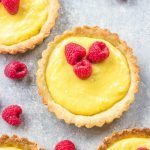 Regular yellow mustard can also be used instead of Dijon and red wine vinegar or even apple cider vinegar can be used instead of white wine vinegar. Hope you enjoy this easy side! 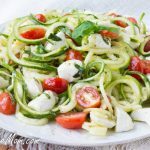 Whisk the next 9 ingredients together, taste and adjust salt if needed. 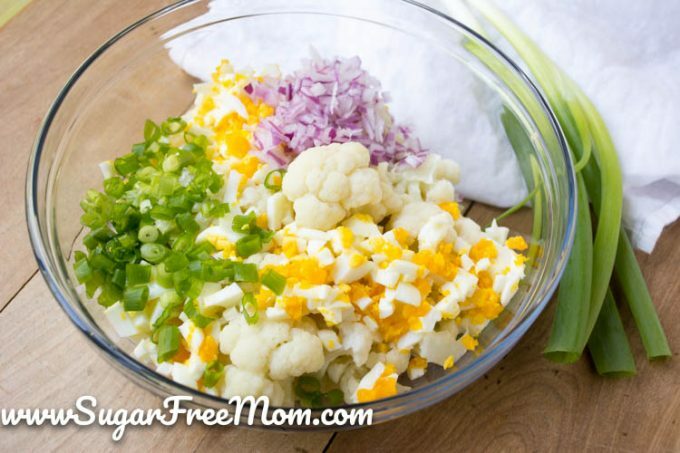 Stir the dressing in the bowl with the cauliflower then add in the onion, eggs and scallions. Never would have thought of this. Absolutely BRILLIANT! 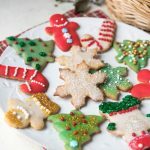 I will DEFINITELY make this! Thanks! And yes bacon makes it better! Delicious. My daughter is eating it as I type and has no clue. I did add more eggs, sliced olives, a little chopped celery and 2 tbsp of sliced olives to make it taste more like my family likes! I should have called it that! 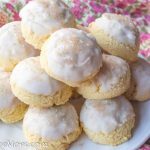 My husband has recently been diagnosed with diabetes, so I have been trying to cook things he can enjoy. I am going to make this for Easter Dinner. I will probably still make regular salad for others. Thank you for the recipe.